True charity starts at home, Prague Thrift Store helps you complete the cycle. Take your children to your next thrift shopping to one of the most children friendly community store in Prague. While you enjoy wide selections of secondhand clothes, books, electronics and more - Your children will have FUN in the children section's toys and games. Helping your kids look their best doesn't have to be expensive when you shop for discount children's clothes at the Prague Thrift Store. As many of you know, thrift shopping on an extra discount day can be a blessing for growing families, so every Tuesday is Family Discount Day, when all Children's clothes are 50% off and other items are 30% off! Prague Thrift Shop believes in family, and your donations and purchases help us help families in need. And thanks to your support for our projects, we were able to exceed one of our charitable goals at the Azylovy Dum mother's shelter! Not only did we achieve our aim helping to build the new playground for the mother's shelter, but thanks to our customer's support, we were also able to build a small accommodation alongside the playground for the mothers to come together while watching their children. To achieve the goal the fashion show fundraiser was organized (in 2013) in collaboration with IWAP (the International Women's Association of Prague). IWAP is an independent, non-profit organization that is open to membership from women around the world. Among of other projects, the women of IWAP collect and provide significant financial and volunteer support for numerous charities and social projects in the Czech Republic, such as the Azylovy Dum mother's shelter. "IWAP is a very open group and they are always looking for hands-on projects. 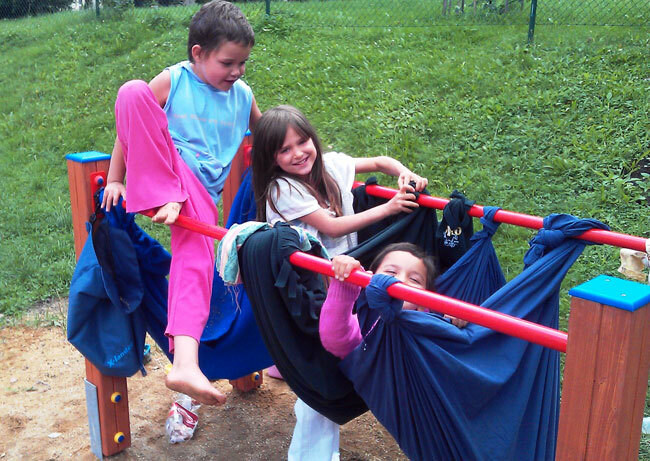 They immediately loved the idea of helping to build a playground for the women's shelter," founder of the Prague Thrift Store Barbara Szende says. Alongside with the Prague Thrift Shop's and IWAP's fund raising, the city of Kladno pitched in, thankfully deciding to sponsor additional funds for the project, enabling us to expand our goals even further. The Prague Thrift Shop is very grateful to have achieved and exceeded its goals: "This Project has really helped the children and the overall community. 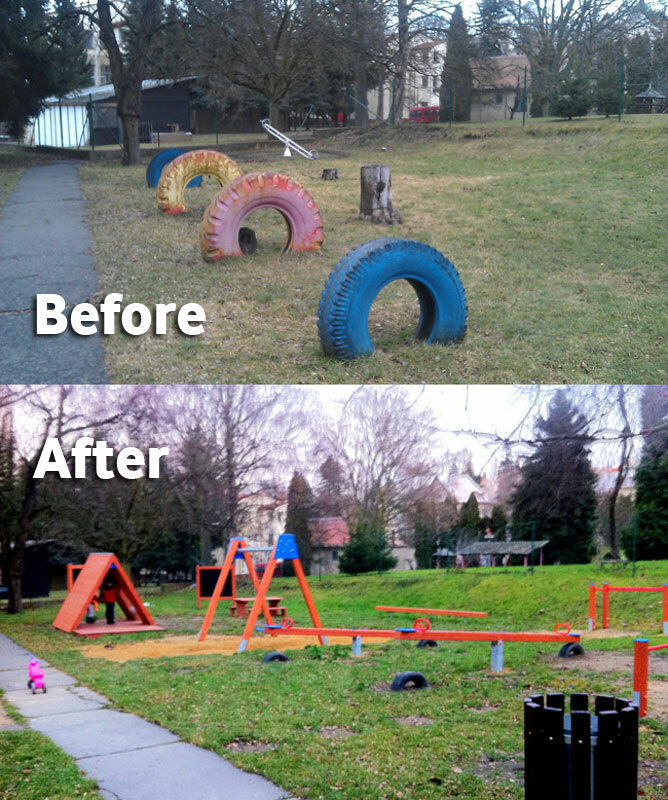 The playground used to be a very, very, sad place and now it looks amazing", Barbara Szende says about the transformation of the Azylovy Dum's playground. The new fundraising event is already on the way for 2016. This year fashion show will be also a great occasion to celebrate the 5th year anniversary of the Prague Thrift Store. The fashion show will support either cancer related issues or family/mothers shelters. This will be debated and decided by you. More details. Fundraising for the new project has already begun and any contribution is greatly appreciated. Please either stop by the IWAP office or send money directly to IWAP's bank account with a note explaining the cause (IWAP/PTS Fashion show 2016). Their contact information is as follows: Raffeisenbank, IWAP account number: 4561765001, Bank code 5500. Thank you ! Even a small contribution can help making this world a better place for people in need.